Having worked in fashion industry for most of his life and lived in big cities like New York City, Hong Kong and Bangkok, Roj has decided to leave the fashion industry and explore fitness and yoga world. He started with weight training, calisthenics, martial arts, fitness & health nutrition and wellness which then led him to AcroYoga. 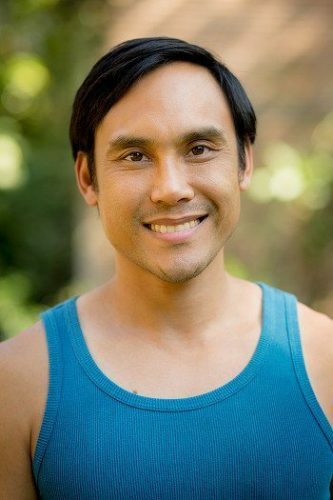 In June 2014, Roj’s passion with acro has resulted in certifications in AcroYoga.org and in January 2015, Partner- Acrobatics, both as the first Thai teacher, based in Bangkok. Also with this new passion with acro, Roj continues to learn and loves to update himself with new skills of movements and physical activities with creative mind, knowing how important it is stay strong, flexible, conditioned and functional. He loves to keep his practices and teaching fun and sharing with others around the world.